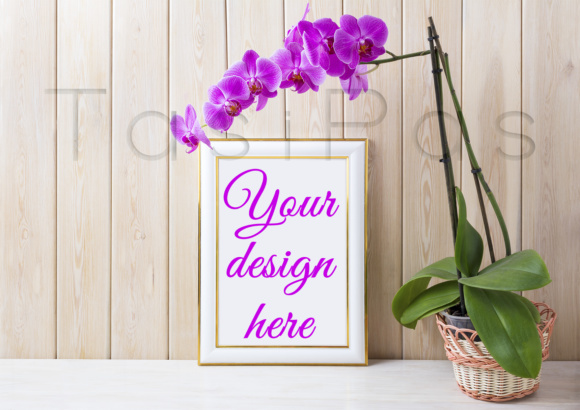 Gold decorated frame mockup with magenta-purple orchid in wicker basket near wooden wall. Empty frame mock up for presentation design. 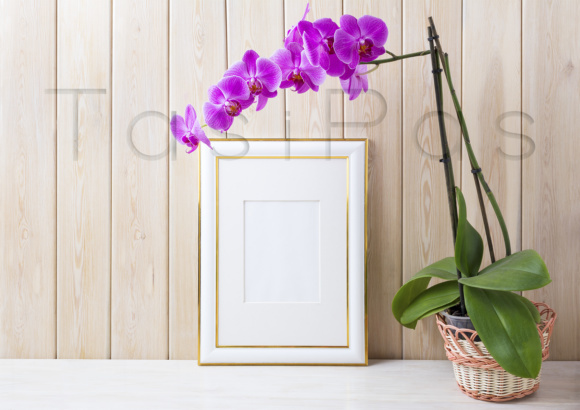 Rustic framing template for modern art.